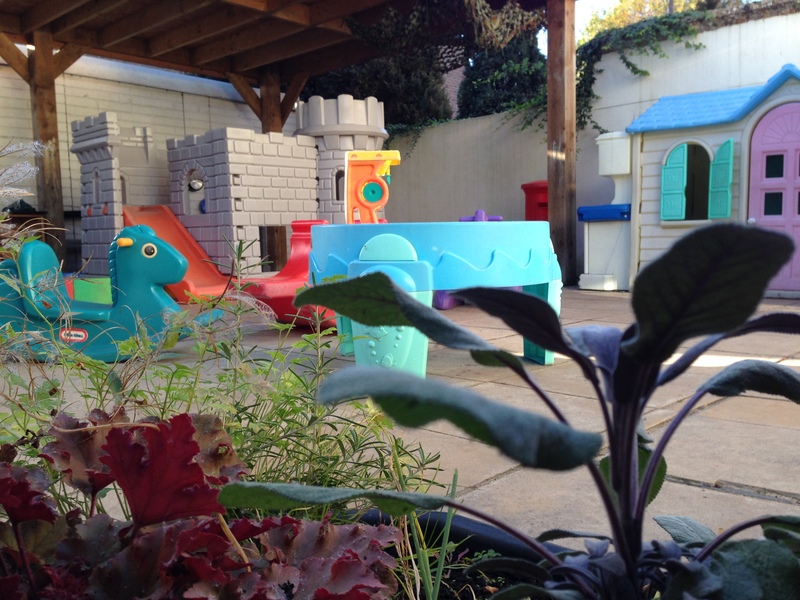 The nursery garden has a large range of resources to promote learning and development in all seven areas of learning. All age groups get to access the garden in all weather, rain, snow or shine and are protected from the wrost of the elements by a large wooden shelter that covers roughly half of the garden, keeping the rain and sun off to a degree. Children get to take part in games that help build teamwork and teach turn taking as well as burn off steam and evelop physically. The garden includes a table for outdoor drawing and quiet activities, sand and water trays for sensory play, wendy house and role play kitchen, a flower bed for growing and planting, seesaws, children’s sized camping equipment, bucket stilts, paper and pencils, chalks and much more!